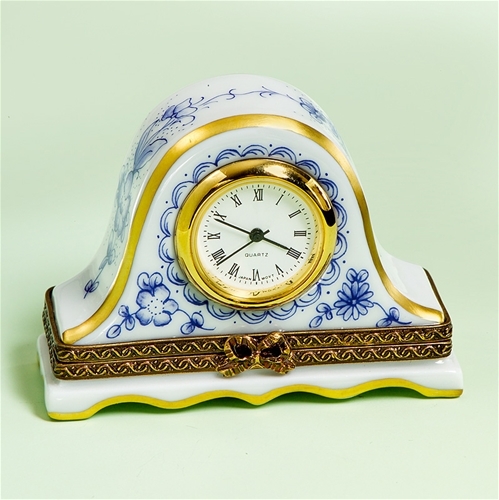 Limoges French hand painted blue and white mantel clock box. 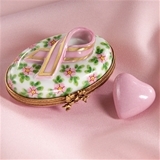 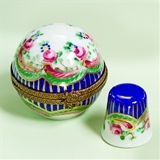 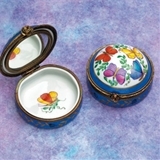 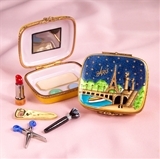 This Limoges porcelain box has decorative clock. 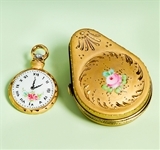 It is not a working clock.